The lefties in Wisconsin have been pitching a fit for almost a year now. From storming our Capitol to scaring Special Olympic athletes. our lefty friends have done it all. Just when you think they can’t top themselves, they find a way to do it. 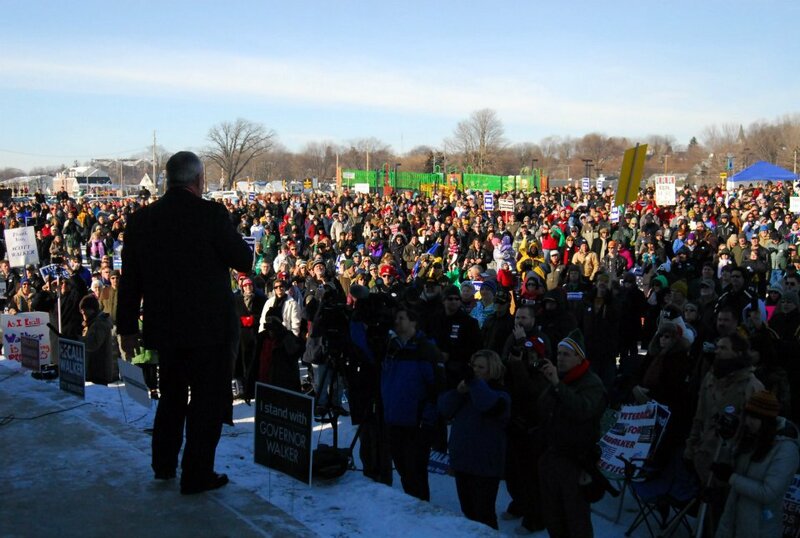 A few weeks ago our lefty friends proudly handed in 1 million recall signatures for Gov. Walker. They threw a party and literally celebrated the fact that they are trying to overturn the will of the people. They really do not understand that elections have consequences. To a Wisconsin lefty nothing is off limits. Now here is where this story gets interesting, you see conservatives now have access to these million signatures and it has become very apparent that many of these signatures are invalid either because of gross incompetence or straight up cheating. Either way it is a black eye to the recall movement and trust me the independents in Wisconsin are watching. The signatures alone would be embarrassing, but add to that the fact that the Democrats do not have a viable candidate willing to stick their neck out to run, and the whole recall movement becomes a joke. Kathleen Falk has already lost statewide elections several times and has a reputation of being a progressive which plays great in Madison and Milwaukee but not so well anywhere else. The fact that Falk seems to be their only candidate is slap in the face to the grassroots of the recall movement. Conservatives imagine devoting yourself totally to a cause and the end result is you get to support a candidate who cannot win. Wait a minute we are doing that right now with the Presidential primary, but I digress. On a more personal level, I love how the Wisconsin Left cannot admit that beating Governor will be tough. They are even going as far as attacking a grassroots Pro Walker event and its organizers. I was part of the creation of the event and let me assure you it was about as grassroots as it gets and it was attended by thousands, not dozens as the left would like you to believe. Trust me when I tell you their pathetic attempts to belittle our huge event has only served to motivate us to make our next one even bigger. Does this look like dozens of people to you? In the end the left in Wisconsin will lose and they will find a million excuses why. Too bad they couldn’t find 1 million legal signatures to go along with the excuses. This entry was posted on February 5, 2012, 12:28 pm and is filed under Uncategorized. You can follow any responses to this entry through RSS 2.0. You can leave a response, or trackback from your own site.